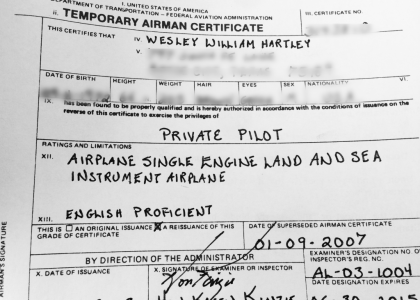 How to get a Pilot’s License? I am getting this question more frequently these days…how should I go about getting my Pilot’s License? I love this question because the question embodies the very essence of human adventure! It is a question that captures the imagination! I wish the answer was easy, but the truth is, the answer is as individualized as “What’s your favorite restaurant?” The reason is that everyone wants to learn to fly for a different reason. My friend Zach got his ticket before he graduated High School and is now at the Air Force Academy in Colorado. Others want to take the hill and become a pilot, but once they get their ticket, they never fly and their hard-fought skills atrophy. I wanted to learn to fly for a couple of reasons. I loved to travel, but the time costs were very high. I wanted to do something besides my job that challenged my brain and skills. I wanted an activity I could do with my whole family. I wanted to gain a skill that would be useful to the Kingdom of God. My REASONS for wanting to learn to fly determined how I did it. If you want to learn to fly as a career choice, then I highly recommend going to a full-service flight school that has accelerated programs to help you gain multiple ratings as rapidly as possible. Many of these programs even while hire you to become a flight instructor for them. I would suggest getting a copy of AOPA’s Flight Training Magazine and looking at the many programs advertised. The decision is then based on what program fits your budget, time schedule, and personality the best. Most of the inquires I have had are from people who just want to get their license so they can fly the family to see parents, grand parents, or for a nice little vacation. They need good skills so that they can safely transport everyone with out scaring the pooh out of them, but they also understand that this will never be a money-making endeavor. This will not be a money making endeavor. DO NOT TRY TO “SELL” GETTING YOUR LICENSE BY HINTING THAT YOU CAN MAKE MONEY DOING IT! The amount of money you will have to invest to get the ratings and flight experience needed to actually get paid to fly will take YEARS to pay off from the meager income you might one day receive as a pilot. First, I would surf AOPA for insight. They have a special Learn To Fly Section. This section is designed and written by people who have a financial stake in you becoming a flying pilot who wants to join their organization, so if they can’t give you some good arguments for getting your license, no one can! 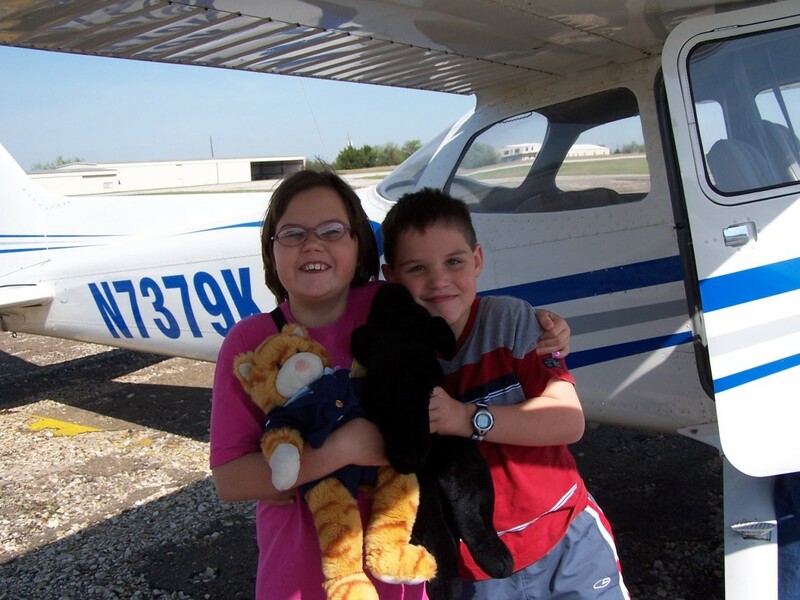 I have been a member of AOPA since the very first day I decided to get a pilot’s license. It is a great investment! 1. Find a local airport with a flight school. The more rural the area, often the less expensive it is. IT IS CRITICAL that you understand that just because the price per hour is the same between two flight schools, it does not mean that the COST PER TRAINING HOUR is the same. If you took lessons at KADS the cost would be around $200/hr with an instructor in a nice 172 with a glass cockpit. If you took lessons at my home field of F46, the cost would be around $160/hr with an instructor for a decent 172 with standard “steam” gauges. You look at the two options and think, wow, for $40/hr more, I get a great airplane! Let’s do that! But then you realize that KADS has a tower who approves traffic movements. Your wait time on the ground as jets and twin turbo props land can be high…and you pay for time on the ground at the same rate as time in the air. Then you still have to fly to a safe airspace that is conducive to training. So a one hour training slot could easily become 10 minutes of waiting in line and 10 minutes of flying to a safe airspace. But a more rural area, away from the busy airspace (like F46) would allow you to simply taxi to the runway, check for traffic, and take off. Since the airspace isn’t busy, you can begin flight maneuvers almost immediately. Practically, 99% of your training time is actually training time…so the cost of learning all the required maneuvers can be much lower at a smaller, less crowded airport…never mind the stress reduction by not having to deal with busy airspace and the fast-paced talk of Regional Approach. 2. Get started. Don’t just research it…do it. Almost every flight school has a discovery flight. Take it! Then book 2 more lessons! The financial commitment of 3 lessons is much lower and allows you to get moving so you can figure out if flying an airplane is for you. 3. Fly as frequently as they will allow. My view is that the closer together the lessons, the less time to forget. I know that there are a thousand views on how often to train, but in my experience, I think a huge money waster is only flying once per week. First, the likelihood of the weather, your schedule, the airplane, & the instructor all coming together so you can fly every single week when you schedule it is pretty low. I think the perfect schedule is 3 times/week. I think this allows you to remember the lessons learned from the previous flight and it allows you to quickly apply those lesson to the next flight. The schedule is really going to depend on your ability to absorb the lessons. Everyone learns differently, so negotiate a plan of action with your instructor. 4. Do at least 10 hours in the rentals before even considering to buy your own plane. Essentially, make sure you actually can fly and that you enjoy it. The thought of flying is very different than actually experiencing the stress of doing it and Flight Simulator just does not simulate the way you feel when you actually fly. 5. If you are considering buying your own aircraft before finishing your training, I would ask the flight school if they will do instruction in your own aircraft. Some will, some won’t. I am actually a fan of training in the plane you are going to actually fly in real life. We actually did this. I had 30hrs in trainer aircraft when we bought our 172XP. Personally, it gave me tremendous confidence and I was no longer having to adjust my flying to the quirks of the different trainer aircraft. 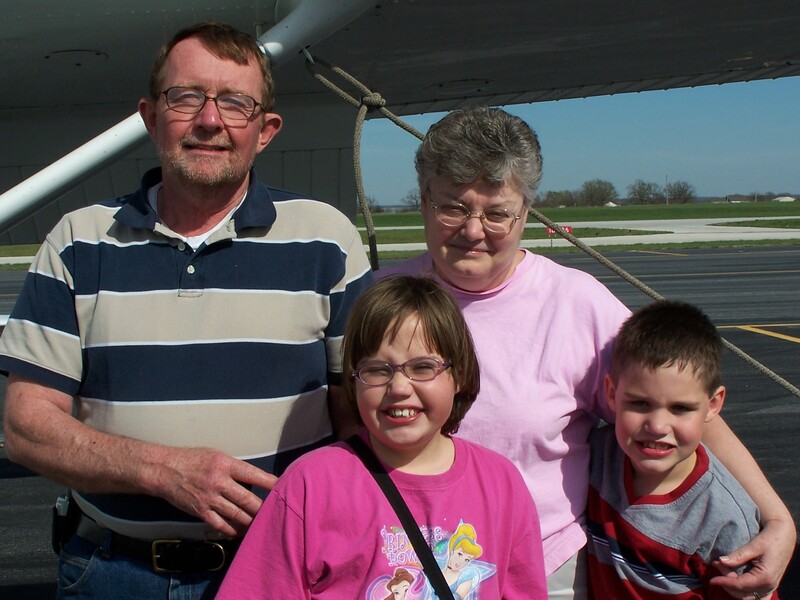 The day of my check ride, after passing, I loaded up my family in our plane and took a 3hr cross-country flight to see my mom & dad. You will need minimum 40hrs of time before you can take the checkride. If you are in a major metro area like Dallas, Houston, LA, Memphis, or other Class B Airspace I would plan on 60hrs. You want to feel confident navigating the complex Class B airspace. All instructors are not the same. Some respond to you messing up differently. Some holler, some are calm. Some take over, some let you figure it out. If you get an instructor that you are not clicking with, be honest and up-front early on. You could use a phrase like, “when you raise your voice, I think we are about to crash and that scares me and make me do worse.” You have a financial interest in clearly communicating when something is working or not working so you have the best chance to learn quickly. If your instructor isn’t listening to your feedback, give him or her a clear warning that something has to change or you are going to need to find a different instructor. Again, you have a financial stake in this working so you need to be clear. ADDITIONALLY, FLYING IS FUN! If your instructor is sucking all joy out of flying, saving his feelings is just not worth you hating flying. All the instructors I know have a true desire to see you succeed and learn. They want you to learn, but they are not mind-readers. You have to help them understand what techniques work for you and which ones don’t. There will be more about IFR Ratings and buying airplanes in future posts…until then, happy flying!